Our company has earned an excellent reputation with a unique range of labelling adhesives suited to Glass Bottles, Various Plastics to include PET, PVC, PE, and HDPE. 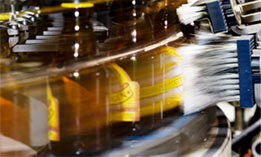 The chances are that when you hold a bottle in your hand, it is our adhesive securing the label. Our technical expertise is second to none and we want to share this with you. We conduct on site operator training and have produced manuals for quick easy reference. Knowledge breeds confidence and this leads to improved working practices. We are not focused on how much we can sell you, but how much we can save you. Let’s tune up those labellers so you can start reducing costs and maximise production efficiencies. Our new LABTAC AP glass labelling range has been specifically developed as a cost effective solution to replacing many expensive Casein formulations. Of course there will always be a place for Casein where extreme conditions prevail for which we have formulations to complement our range. 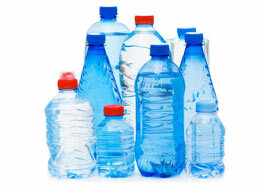 PET, PP, PE, and HDPE LABELLING - There are many types of plastic containers found in everyday use. Each poses its own technical challenges, from surface treatments to flexing with expansion and contraction. Our technical department will match an adhesive to your container and label type, ensuring an effective bond is consistently achieved. We are experts in this field and can visit, audit and fine tune your machinery free of charge. We will advise the right choice of product, to ensure that you achieve optimum efficiencies from your labelling equipment.